Recess by Narciso Desmadryl from Perkins Bacon Plates 1854 (Sept): 10 c. greenish blue, a horizontal pair with close to large margins all round and portion of adjoining stamp at left, the pair with a 'quadrille' blanket effect presumably from the drying process, used on 1855 cover from Santiago to Valparaiso; cancelled by straight line FRANCA in red and by target handstamps in black. 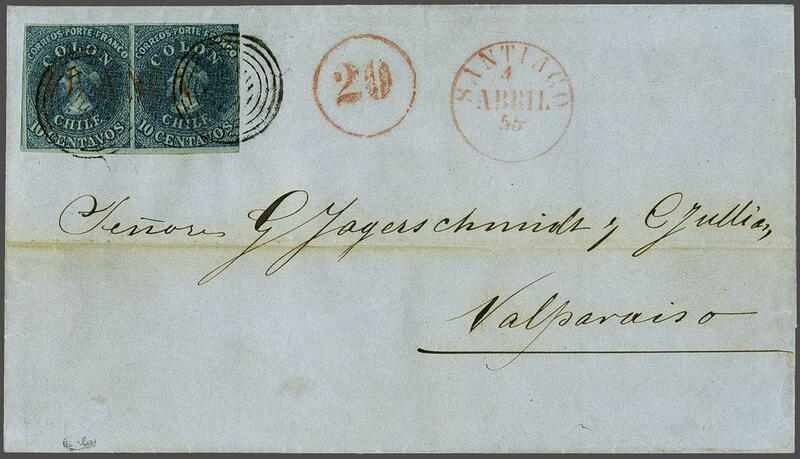 Underpaid and charged Postage Due with circular '20' handstamp in red (double the deficiency) alongside SANTIAGO cds (April 4) in red. An extremely unusual usage and a fresh and most attractive cover. Signed Calves. Cert. 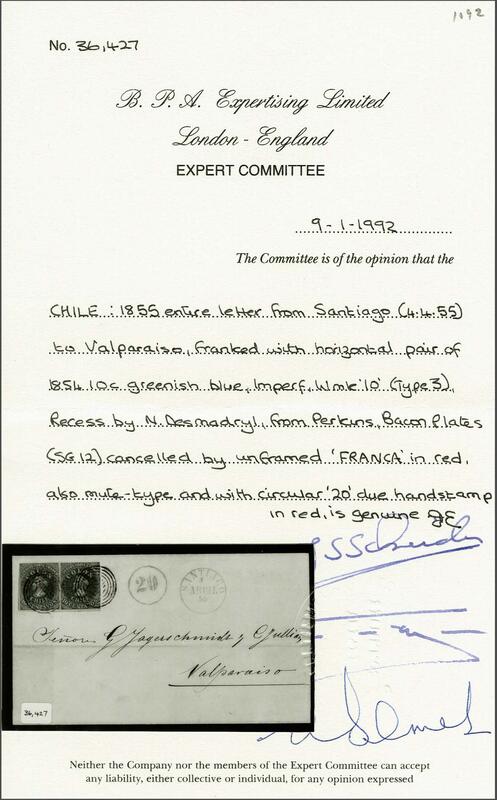 BPA (1992).rnProvenance: Collection Gerhard Blank, RL, Dec 1991, ex lot 1092.